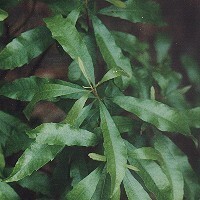 This tall shrub grows statewide in many habitats including coastal areas. It tolerates both full sun and shade. Plants of the bayberry family, Myricaceae, help improve poor soil as well as provide food and shelter for wildlife.